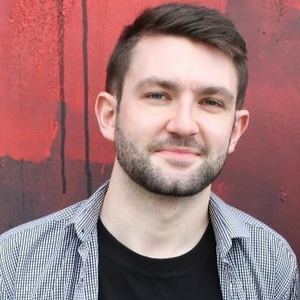 Next up we have Chris Murray, presenter/producers at Amazing Radio. Amazing Radio specialises in broadcasting new, independent and emerging artists from across the globe, showcasing music from their uploader site at amazingtunes.com. Check out his tips below. Hailing from Wales, this Swansea five piece released their new EP ‘Recovery’ back in May. 2018 looks to be their year – having just recently taken home ‘Best British Breakthrough’ at the 2018 Kerrang! Awards. The quintet were one of my highlights of The Great Escape Festival earlier this year, playing multiple shows across the weekend. Frontwoman CJ Gilpin is one of the most fascinating performers I’ve seen in a long time – on one hand throwing herself around the stage during every song, while in between politely asking how the crowd were, and how their weekend had been. It’s so refreshing to have a new young rock band, who are so passionate about the music they make. I’m looking forward to catching them at a few more shows very soon. They’re headed to this year’s Reeperbahn Festival in Hamburg, before heading out on a run of UK and European shows with The Amity Affliction. Most recent track “New Waves” is currently my Song of the Year – I turn the volume up and scream along with every listen, and strongly encourage you to do the same. I’m really enjoying this three piece from Essex. The trio have only just put out their debut track, “Give Up” back in February, and I’ve loved the guys ever since. The song’s sharp, punchy guitar line goes perfectly with the fast-paced vocal delivery from lead singer, Sol Abrahams. Sol’s vocals are reminiscent of Jamie T, as well as fellow Chelmsford outfit, Freak. 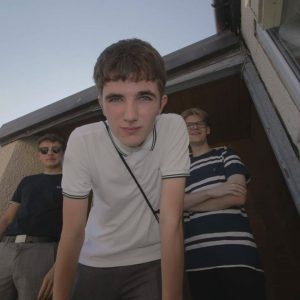 They’ve trio played the Main Stage of Rize Festival in August ahead of Liam Gallagher, before heading out on a run of shows in September on their own headline tour. 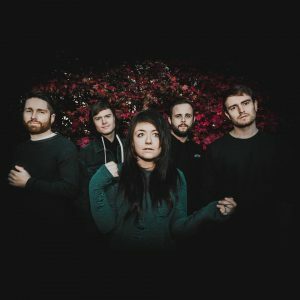 More recently, they’ve dropped a second track “Spiked” – both tracks reached the Number One spot of our Amazing Chart, so they’ve already earned quite a few fans from our listeners. It’s always exciting when a group manage to develop such a unique sound so early on in their career, so I’m keeping an eye on where the go next. This 18 year old Dutch singer-songwriter has all the potential to be the next huge popstar, having recently moved to Canada to pursue music full-time. Last November, she released her debut EP ‘Damaged Vol. 1’ before even finishing high school. I first heard her single, “Not A Love Song” back in February – it’s an all out pop banger, filled with catchy hooks. It’s even gained worldwide success – having racked up more than 24 million streams on Spotify (last time I checked). She’s followed up with ‘Vol. 2’ less than a year later. The new EP featured another future chart topper, in the form of her huge collaboration with Duckwrth, “Sad & Bored”. 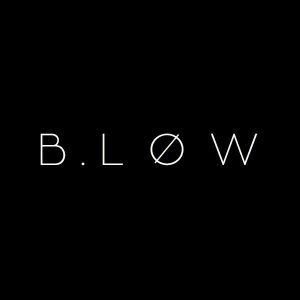 Having watched Dua Lipa’s meteoric rise in the last few years, I could see B¸low following a similar path very soon. After featuring on Vevo’s stage at The Great Escape, she’s got some US dates lined up for October – hopefully we’ll get her back here in the UK in the not too distant future. 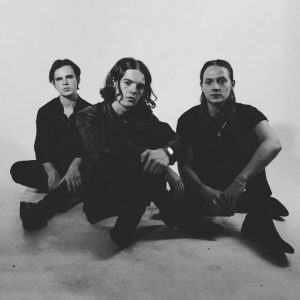 The Blinders, from Doncaster and now based in Manchester, are one of most refreshing guitar bands of recent years. You may have already heard this trio somewhat accidently – most recent single “Brave New World” is currently soundtracking a William Hill advert in between the football. The group will release their debut album, ‘Columbia’ in September, with three huge singles already out in the wild. “Gotta Get Through” spent a massive five weeks on top of our Amazing Chart, the longest reign at number one in almost nine months. The album is inspired by many literal works and focused on the loose concept of “perfect world” – an intriguing idea and one which I’m looking forward to listening to. Having chatted to them a few times, I can really tell these guys eat, sleep and breathe their own music, are passionate about their sound and are completely focused on their own future. Huge festival shows and massive headline tours will soon be a given. This 19 year old grew up in London, and is now calling Brighton home. Despite her youth, she’s already launched her debut EP ‘Not That Special’, in April. I knew she was something special after hearing her track “17”, a standout song in the recent neo-soul resurgence. Lily’s vocal range coupled with a simple background beat showcased her abilities as a singer. 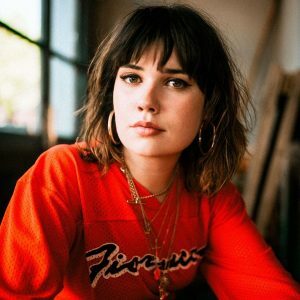 She was launched into the musical limelight after a huge support run with James Bay earlier this year. She’s followed that up recently with the heart-wrenching “I Will Never Be”, a track reminiscent of the finest points of Adele or Amy Winehouse’s back catalogues. She’s got another UK tour lined up for October, including a show at Manchester’s Neighbourhood Festival. With her second EP on the way, don’t miss out on the chance to see one of the best young singer-songwriters – the stages won’t be this small for very much longer.